Lincoln Property Company in partnership with Goldman Sachs announced that they recently closed on the parcel of land located at the southwest corner of 5th and Colorado. Lincoln will begin development of the 18-story office building immediately with a proposed completion date of first quarter 2016. HKS Architects designed the building, and Lincoln has selected Austin Commercial to handle the construction. The 179,289 RSF Class A office tower, located at 201 W. 5th Street, will consist of 1 floor of retail on the ground floor, 8 floors of parking, and 9 floors of office space with 19,000 RSF floor plates. Lincoln’s team of Trish Williams and Seth Johnston will handle the leasing and Lincoln will also manage the property. The building will likely be LEED Silver and will feature a video wall in the lobby that will highlight local artists. Lincoln is committed to continually enhancing the presence of its signature tower and its alliance with the dynamic Austin art community. 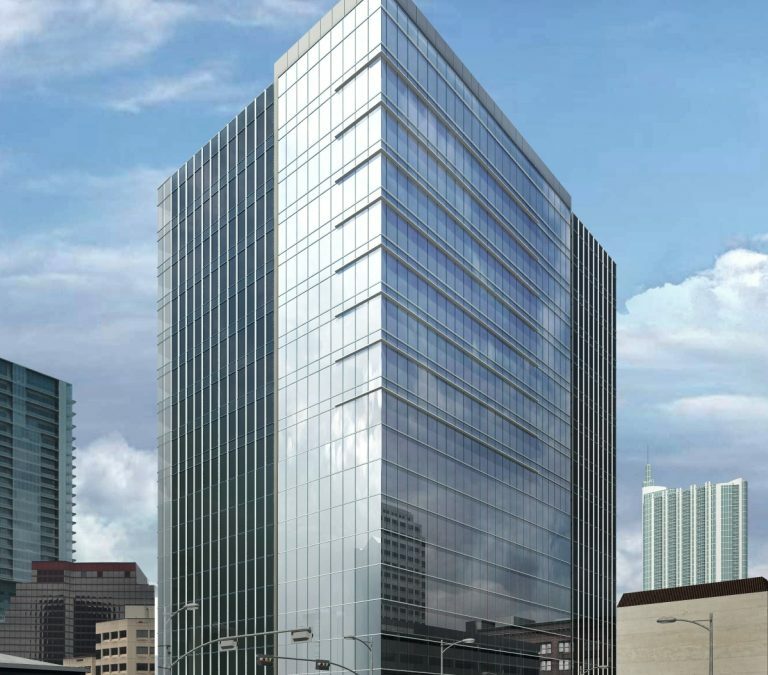 “We are tremendously excited for this project and we have had great activity so far – the 5th+Colorado tower will be a great addition to downtown Austin,” said Trish Williams, vice president for Lincoln’s Austin office.